EU member states will now be able to decide for themselves whether to produce GM crops, according to a new law, which is already stoking controversy. They can now ban even the cultivation of crops approved by the European Food Safety Authority. The contentious law has passed by a large margin of 480 in favor to 159 against, with 58 abstaining. The law is said to have achieved success owing to its flexibility. 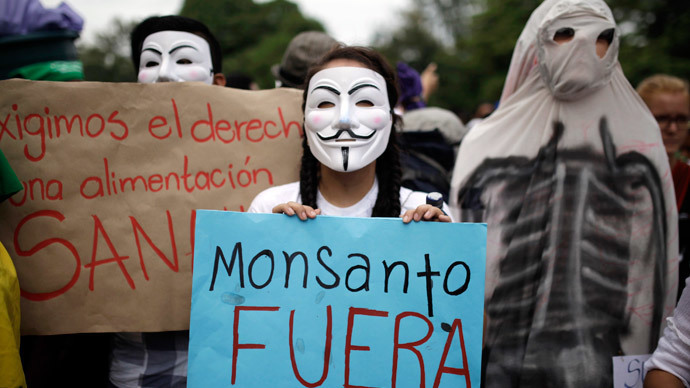 Since 1998, only a certain type of GM crop (MON810, from Monsanto) was cultivated in Europe. The new law, however, has two notable developments: seven other GM crops have now been added and approved by the EFSA; and now member states can make the decision to either add them to the list, or simply opt out. Additionally, the new rules allow member states to ban the GMOs on grounds other than health risks. These would now include consideration in town and country planning, farm policy, socio-economic impact on the community, the protection of the local ecosphere, and the possibility of cross-contamination. Specific traits inherent in the particular GMOs will also be given consideration. "This agreement will ensure more flexibility for member states who wish to restrict the cultivation of the GMOs in their territory," Liberal Democrat MEP Frederique Ries said at the plenary session. She was a key proponent of the Tuesday legislation. The law was originally agreed informally in December, by the European Parliament (EP) and the European Council (EC). It was actually meant to be implemented much earlier, in 2010, but faced a four-year delay owing to the ongoing bitter dispute over the hazards of GMO produce. “As to what comes next, I place my trust in Commission President Jean-Claude Juncker's formal pledge to strengthen the democratic process on GMOs in Europe and ensure that research is genuinely independent," Ries said. Before any member state can have a formal say in the matter, however, they need to go through the actual GMO producer, whose marketing of the seeds would be affected. It is also true, though, that if the company doesn’t agree, a member state would be able to impose a unilateral ban on cultivation. Some have come out with criticism of the new measure: "It is a bad measure because the EU will become a patchwork of GMO regimes when what we need is a common approach,” said Rebecca Harms, a Green MEP. Others, such as bio-tech association EuropaBio, believe the legislation would mean science gets thrown out the window. The biggest impact, however, was always on the farmers and their livelihood. India has seen a rising suicide rate, which many blame on GMO seeds. Monsanto, which is believed to have contributed to a staggering 290,000 suicides over the past 20 years, has not faced legal action. Its seeds were at times incompatible with the local ecosphere, while its drain on natural resources forced many smaller growers into money loans, depression and, eventually, suicide. The company has been widely blamed for manipulating the market and making use of people’s inefficient business practices and naturally weaker non-GMO crop yields. Similarly, the biotech giant was doing its best to quell the popular demand to institute GMO labeling laws: this, and other related concerns, has seen thousands take to the streets all over the world in solidarity with smaller farmers who for the most part produce better, more healthy crops. The March against Monsanto movement is still growing, with an upcoming date set for May 23, 2015, according to the website. The event draws millions of people each year, in dozens of countries worldwide. They are campaigning for safe food and consumer protection, and for governments not to overlook the dangers of GMO crops by partnering up with Monsanto. One particular worry is that the Food and Drug administration in the US is actually run by former executives of the company in an obvious conflict of interest.